1.00 The objective of this policy is to support the Broader Public Sector Procurement Directive (BPS Directive) by ensuring ethical, efficient and accountable contracting activities within the University. G. Other major financial services which may be required from time to time. 4.02 The university, being a public institution and largely supported by public funds, is committed to obtaining the best service possible. This is to be achieved by inviting qualified service providers from the private sector on a regular basis and applying a thorough selection process. This process and the resulting contracts should be transparent to the public, follow the Broader Public Sector Procurement Directive, and should further enhance the good relationship that exists between the University and the community. 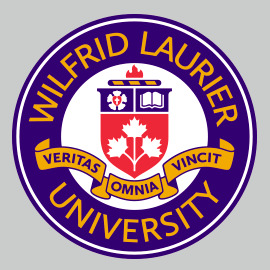 It is the intention of Wilfrid Laurier University to employ service providers on the basis of their competence and expertise, the cost of their services, their ability to complete the work within the required time, their past record in performing similar work, and their ability to work with university staff. 4.03 Contracts for the above listed services will be for five years with the option of renewing for an additional five. Each year, the performance of the service provider will be evaluated and at the end of five years a major review will be conducted. The major review should consist of an analysis of the service provider’s performance relative to the original selection criteria. At this time, the university will decide whether to renew the contract for another five years, or conduct an RFP for a new financial service provider. At the end of each ten year period with the same financial service provider, a formal RFP will be completed.